Lifeboats have launched from Margate and Ramsgate in the last hour, heading in the direction of the Grande Tema vessel which is currently dealing with a situation onboard. The RNLI launch is shown on Marine Tracker as heading for the 236-metre long cargo ship some 8 miles off the Margate coast where four migrants stowed away onboard are armed with iron bars and have reportedly threatened crew. The Coastguard helicopter is also currently at the Manston airport site and a Royal Navy helicopter is also inbound and the National Police Air Service is also coming onto the scene. There are reported to be two Navy Merlins and Wildcats on scene as well as an SAS/SBS team. There have also been reports of police car convoys in Margate this evening and Ramsgate earlier today. 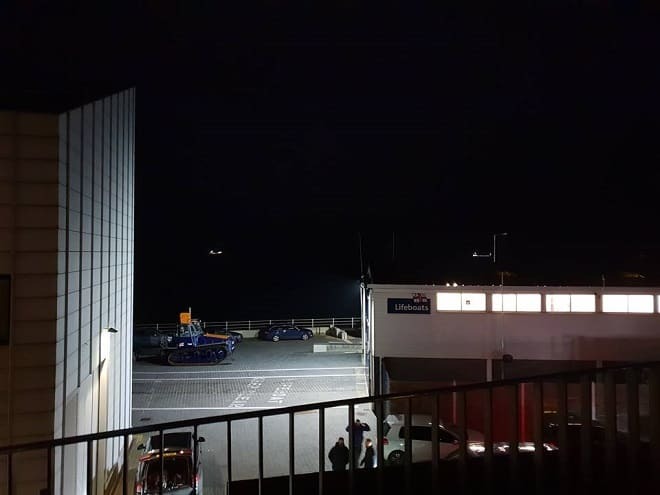 Police are yet to confirm whether this is in connection with the Grande Tema but one convoy is stationed near Turner Contemporary and the Fulsam Rock. A witness reports 15 men visible, all in black with balaclavas, and vehicles that drve through Margate in a convoy earlier. Police, Coastguard and Border officials are currently dealing with the “complex” incident in the Thames estuary. Essex Police are leading the operation after being called at 9.15am today, “relating to the safety of crew on board” does not appear to involve any injuries. 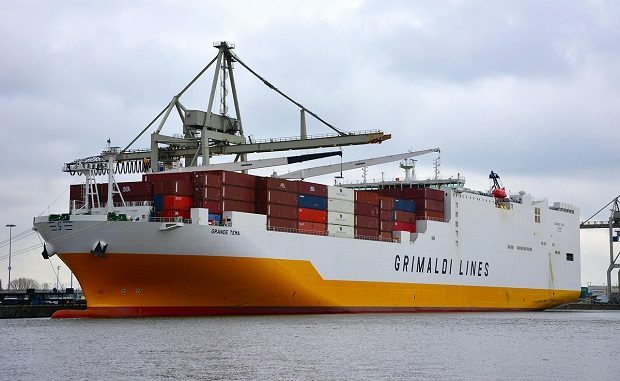 Grimaldi Lines have confirmed four migrants aboard the vessel threatened staff with iron bars and crew have locked themselves on the Bridge. The vessel has been circling erratically in the estuary since this morning. It had been heading to Tilbury from Nigeria. Essex Police say: “We continue to deal with a complex incident on board a vessel that is in the Thames Estuary close to the Essex and Kent borders. “This follows a call relating to the safety of crew on board at around 9.15am today, Friday, December 21. “We have received no reports that anyone has been harmed and don’t believe they are at risk. We are not currently treating this as either a hostage, piracy or terror related incident.